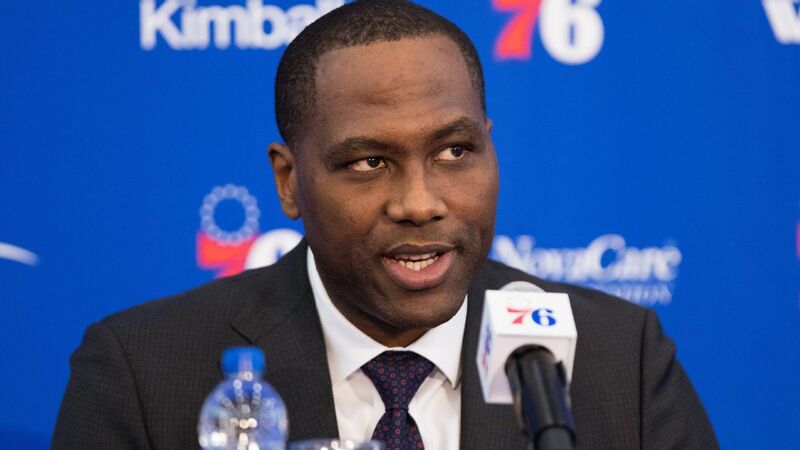 Philadelphia 76ers general manager Elton Brand was called president of the Los Angeles Lakers president of basketball operations Magic Johnson on Thursday afternoon to apologize for insinuating a radio interview called by the Lakers – no to get permission for Johnson to talk to Sixers forward Ben In a interview with 97.5 The Fanatic on Monday morning, Brand said, "Rob Pelinka called me and said Ben wanted to talk to Hall of Famers after the season, Magic is on the list. He asked permission … I did not say. " He did not mention in the interview that someone from Sixers, driving one of Simmons's brothers , first contacted Pelinka, which prompted his call on the Lakers issued a statement on Monday that reads: "To clarify, last November, sent the 76ers a an email to the Lakers who asked if Ben Simmons could talk to Magic Johnson about his career playing Hall of Fame. email received an email request from the 76ers, Lakers General Manager Rob Pelinka contacted the 76ers General Manager Elton Brand and informed him that Magic could only do it if the 76ers gave him a pre- written approval. NBA spokesman Mike Bass told ESPN Monday, "The league's office searches if any contact occurred between Ben Simmons and the Los Angeles Lakers who violate NBA rules." "I have a great relationship with Ben and [his agent] Rich [Paul] and we hope he is a Sixer for a long time," Brand said ESPN by Adrian Wojnarowski. "He took interest in chatting with some of the games of all-time greats and we were supported. 1; end of the story. " Later, Brand spoke directly to Johnson to make the air more clean, sources said.